Are there different types of celiac diseases? I had some blood work done at my doctor's office and she said (in a written report) that I tested positive for one of the celiac tests. Wasn't quite sure what that meant. She said I would need to see a gastro doc for further testing. I have written in before to you about taking 50,000 IU of Vit. D back in December and it started a whirlwind of panic/anxiety that I still can't seem to shake. Just wondering if there is more I should be doing and asking my doctor to do to figure this all out. I also had a liver test come back mildly elevated. I am 38 years old and otherwise very healthy. All this started after taking the Vit. D supplement of 50,000 IU and just wondering why I still don't feel right!! Of course the doctors keep saying it's anxiety/stress - but to me it feels like something more that they're missing. 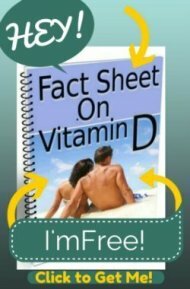 Can you give me more information about the anxiety, etc that you've been experiencing since you took the vitamin D? Most problems (including anxiety)after taking vitamin d are due to magnesium deficiency that gets induced from taking the vitamin d. I explain more about how important it is to take magnesium with your vitamin d on the (extraordinarily creatively named) Magnesium and Vitamin D page. So, it's VERY likely that you just need to get some high dose magnesium in you to relieve some of the issues that have occurred. 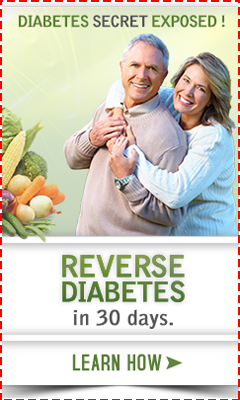 Take a look at the Magnesium Dosage Page. Now, as far as Celiac is concerned, there is ony one kind of Celiac, but just like finding a small crack in a broken bone, if one test isn't 'conclusive' then there are more tests that can be done. an invasive 'scope' of your esophagus and stomach in order to get a biopsy. This will be considered 'conclusive' as to whether you have celiac disease or not- but that is absolutely NOT true and it will not necessarily tell you whether you will BENEFIT from a gluten-free diet. There is a condition that doctors can't test for, nor do they even believe in, called Non Celiac Gluten Intolerance that is VERY real and a lot of people suffer from. So, you can go through $20,000 worth of medical tests and (very likely) be told that you don't have celiac disease and that going off of gluten would be ridiculous and silly. Or you can simply go off of gluten and see how you feel. 3) Trying out a gluten free diet will give you more information than your doctor can. Similarities in intestinal humoral immunity in dermatitis herpetiformis without enteropathy and in coeliac disease. In this study, 8 patients with a skin condition called Dermatitis Herpetiformis, which is an automatic diagnosis of Celiac Disease, had normal intestinal biopsies. Gluten Reactions: Ten Times the Celiac Problem and this study showed that about half of this group of children with positive blood antibodies for celiac disease (like you have) but who had a NORMAL biopsy had improvement on a gluten free diet. I have more studies too. These are only a few examples. But as you can see, the answer as to whether you have 'Celiac Disease' or not, is NOT as cut and dried as your doctor makes it out to be. The ONLY caution that I have for you is that if you choose to undergo testing through your doctor, do NOT start a Gluten Free Diet until you have completed testing. The results of your tests will be invalid if you are on a gluten free diet, so eat plenty of gluten during the testing process. In the meantime, get on a good multivitamin like Jigsaw Health's Essential Daily Packs or Beyond Any Multiple and get on some high dose magnesium as well. Thank you so much for all of this info. As if I wasn't confused before!! :) Actually it helps point me in the right direction and helps to know that doctors really aren't on top of this condition yet. I will not try a gluten-free diet as of yet, just in case I do any further testing - I want it to be accurate - or as accurate as it's going to "seem"
As far as the anxiety issues that started after taking the 50,000 IU Vit. D - I was having severe panic attacks - ended up in the E/R twice from severe heart palpitations - and then the panic lasted 24 hours a day for a good 4 months. YES 4 MONTHS 24 HOURS A DAY. It was miserable especially being a stay at home mom with two young children that rely on me. I have been feeling better in regards to the 'panic' feeling, however I still feel like I woke up one day 7 months ago and am now living someone else's life. It's like my entire surroundings are unreal to me - and it's been going on for so long. I know that it's a symptom of anxiety to feel this way - however none of this started until the day after I took that Vit. D. supplement (prescription). I just want to feel like "me" again :( it is horrible! Don't forget the magnesium. This is SERIOUSLY a very common problem when people take vitamin d. It 'uses up' magnesium. I'm betting that you are just severely low on magnesium, even if your Magnesium Level is completely normal and your doctor tells you that you DON'T need magnesium. It would really be worth a try to follow the instructions on the Magnesium Dosage page for a couple of weeks and see how it makes you feel. And I'd love to know what your results are.